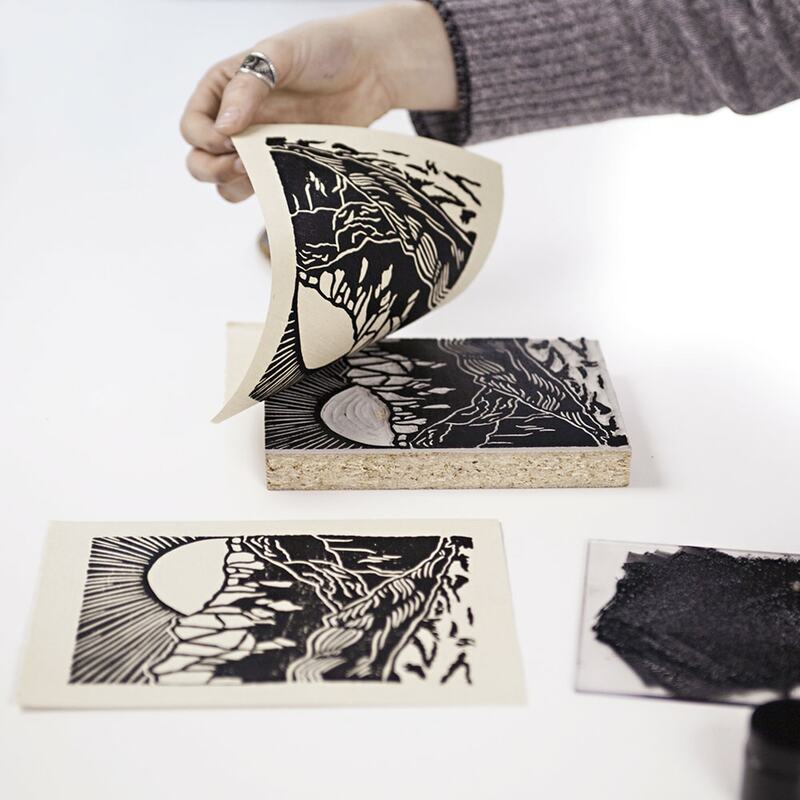 This add-on kit offers supplemental materials to our full workshop with Aftyn Shah and is available to those participating in our Linocut Printmaking Workshop. We’re incredibly proud of a brand new custom tool collaboration with the good folks over at U.J.Ramelson. 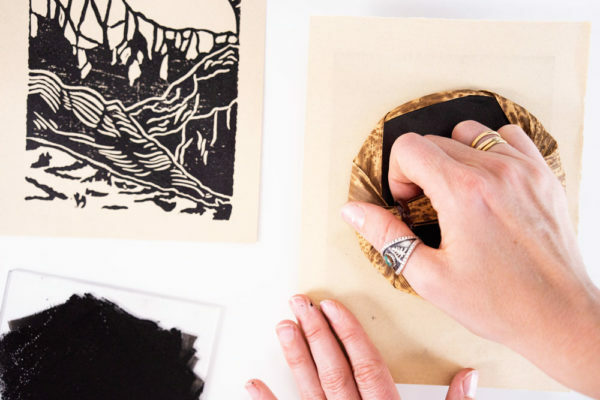 For all of the block printers out there, we’ve specially curated a kit of minimalist, sustainable tools that will last you ages and meet all of your carving needs for the largest of prints to the most detailed of designs. 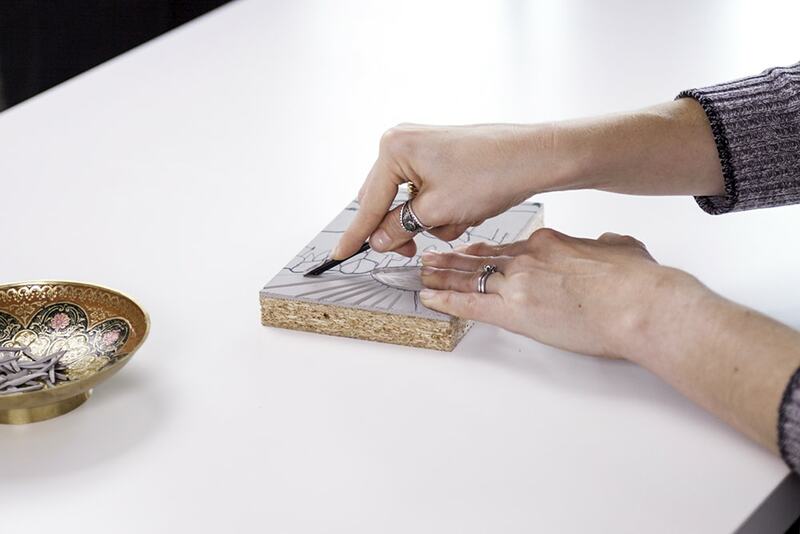 Included in your kit this month is an ergonomic hand carving v-tool designed by Aftyn. This diverse tool does A LOT. 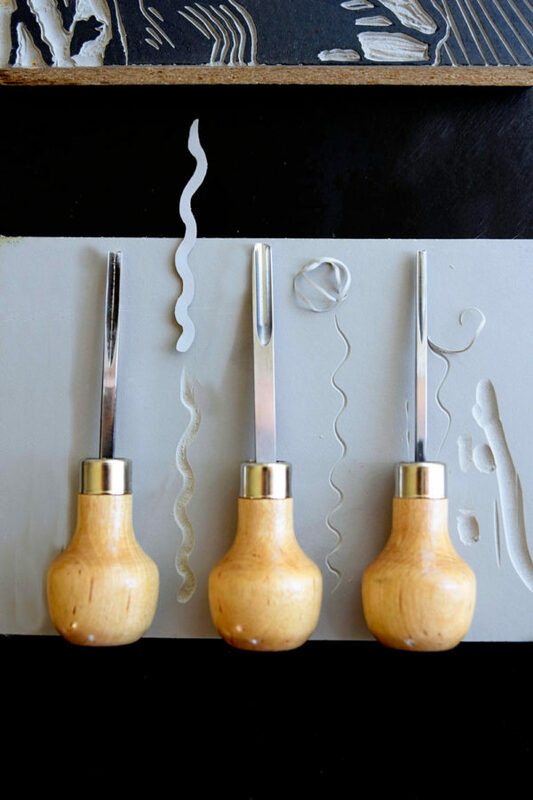 But there are a few more carving tools that cleanly and efficiently get the job done. 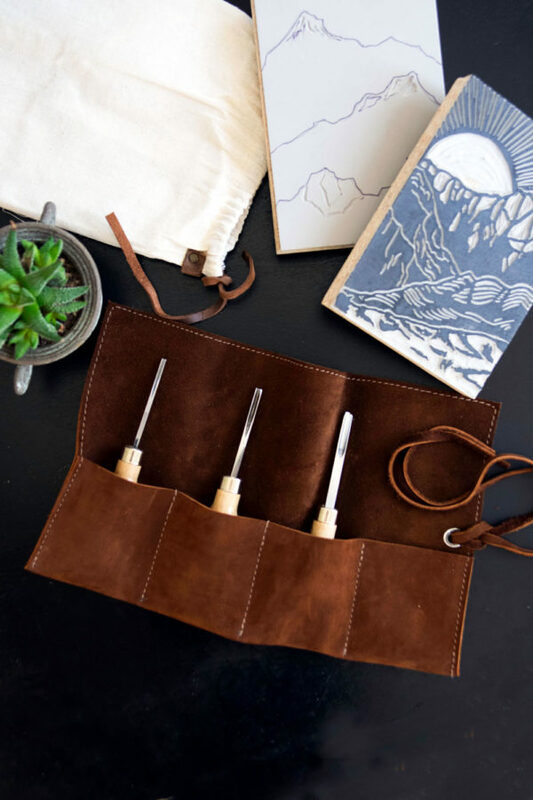 We asked her to round out the ideal tool selection and built those two additional tools to create the perfect carving set. 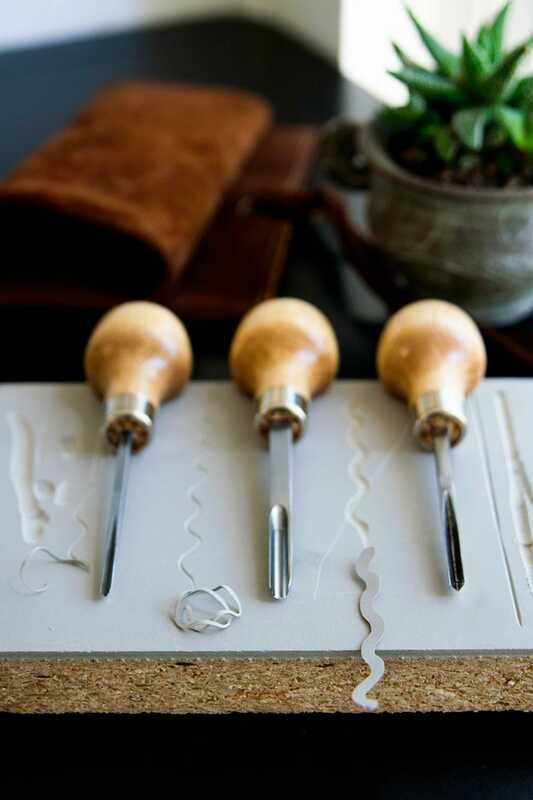 The PERFECT carving set. From removing large expanses of rubber or linoleum for a sky to etching beautiful details into your mountain for big and small prints, this is the only set your curated artist toolbox needs. The ergonomic shape of a palm tool (to ‘push’ as you carve) is a must of Aftyn’s so we ensured that these tools were built just that way. 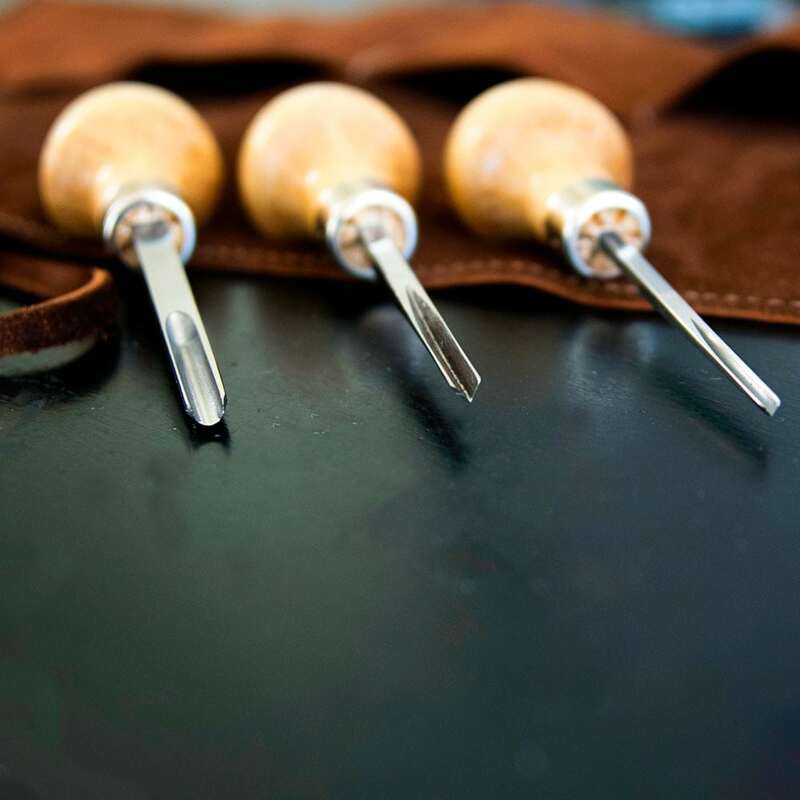 The tools, made from US carbon tool steel and white birch hardwood from Maine, are hand forged, polished, and sharpened by 3rd generation family craftsmen at U.J.Ramelson, specializing in handcrafted, American-made carving tools. Not commonly found but very favorites of print makers are the unique sizes we have paired together. The custom birch handles are a very special detail. Note: leather case is not included. This add-on kit ships in full workshop kits with free shipping if purchased before April 30th. An additional shipping fee will be added as of May 1st.